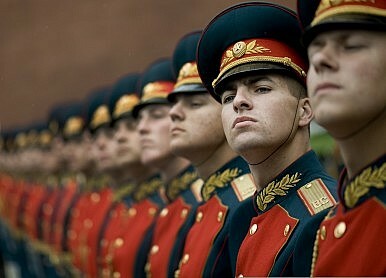 Russia’s military reforms have been misunderstood and its capabilities underestimated by the United States and Europe. That’s the conclusion of a newreport by the European Council on Foreign Relations (ECFR). ReutersU.S. Secretary of State John Kerry (left) poses with Pakistan's Prime Minister Nawaz Sharif during their meeting in New York on September 27, 2015. India should offer conditional support to a civilian nuclear deal between the U.S. and Pakistan while insisting that Islamabad signs the ‘No-first-use treaty’ and clamps down on home-grown terror. It is in India’s interest to ensure that Pakistan’s nukes are under international supervision. What should New Delhi’s response be to a potential nuclear deal between the United States and Pakistan that could eventually mainstream the latter into the global nuclear order? New Delhi’s initial reactions to media reports about a possible deal indicate that it would unambiguously resist any such move by the United States. In a recent Washington Post column, David Ignatius wrote that “the United States might support an eventual waiver for Pakistan by the 48-nation Nuclear Suppliers Group, of which the United States is a member… the issue is being discussed quietly in the run-up to Prime Minister Nawaz Sharif’s visit to Washington on October 22”. The Indian Ministry of External Affairs quickly responded to what Mr. Ignatius called a potential U.S.-Pak “diplomatic blockbuster” in the following words: “We’ve seen these reports and it is not for the first time this issue has surfaced. Whosoever is examining that particular dossier should be well-aware of Pakistan’s track record in the area of proliferation. When India got this particular deal it was on the basis of our own impeccable non-proliferation track record. That is the reason the U.S. gave us 123 Agreement in 2005 and that is why we got a NSG waiver in 2008. Pakistan’s track record is completely different, so we hope that will be taken into account in making any such decision”. The Ignatius piece should be seen in the context of a number of important developments which should be taken on board by India while evaluating the merits of Pakistan’s admission into the nuclear order. The NSG has been organising outreach meetings with Pakistan regarding nuclear exports for sometime now. Pakistan has also reached out to the international community to help end its status as a nuclear outcast and to be treated on par with India. 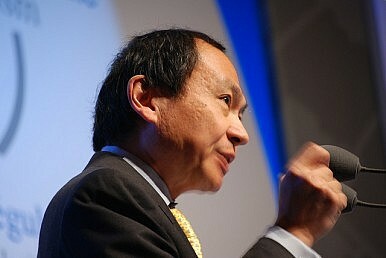 Francis Fukuyama is a leading American political scientist, political economist, and author best known for his books The End of History and the Last Man(1992) and the Origins of the Political Order. He serves as a Senior Fellow at the Center on Democracy, Development and the Rule of Law at Stanford University. The prospect of a civil nuclear deal with Pakistan being talked about in the public domain is quite unlikely, the White House has said, but acknowledged that the US is in talks with Islamabad on issues related to nuclear safety and security. "I know there's been a lot of public speculation about this (a civilian nuclear deal with Pakistan). In asking the same question to a lot of our folks here who are working on this issue, I would not be overly excited about the prospects of reaching the kind of agreement that is being speculated about publicly," White House Press Secretary Josh Earnest told reporters at his daily news conference yesterday. "Pakistan's Prime Minister will be here next week to meet with the President, and I'm wondering if you can confirm for us that the US is, in fact, serious about trying to work out a civilian nuclear deal with Pakistan and whether this is something that will come up in the meeting," he was asked by a White House reporter. At this point, the US has been engaged with Pakistan as well as the rest of the international community, on issues related to nuclear safety and security, Earnest said. American journalist Seymour Hersh, whose reporting of the 1969 My Lai massacre in Vietnam made him a legend, created some buzz with his latest story in the London Review of Books about the US raid that killed Osama bin Laden in Abbottabad, Pakistan, in May 2011. Like the current 9,800 U.S. troops there, the drawdown force of 5,500 will maintain a noncombat stance in training Afghan forces and hunting al Qaeda terrorists, Mr. Obama said Thursday. Administration officials said the U.S. will spend about $14.6 billion a year to house the troops at a total of four bases in Kabul, Kandahar, Jalalabad and Bagram — an increase over the estimated $10 billion annual cost of keeping a force at the U.S. Embassy in the Afghan capital. The president had wanted to deliver a speech saying that all American troops were out of Afghanistan at the end of next year, as he did in 2011 for the U.S. withdrawal from Iraq. But he was swayed by the dark picture of the Afghan conflict that the top brass has been drawing for him, and now Mr. Obama will pass the war onto the next president in 2017. • The Taliban mounted a ferocious offensive in the 2015 “fighting season” that took a heavy casualty toll on the shaky Afghan National Security Forces. • Those forces stil lack competent leaders to win decisive battles without American troops to guide them. • A new enemy has emerged, the ultraviolent Islamic State (also known as ISIL or ISIS) in a province next door to Kabul, the Afghan capital. This confronted the elected government with new security threats, especially the terrorist army’s trademark vehicle-borne improvised explosive devices. WASHINGTON — The United States will halt its military withdrawal fromAfghanistan and instead keep thousands of troops in the country through the end of his term in 2017, President Obama announced on Thursday, prolonging the American role in a war that has now stretched on for 14 years. The strikes have involved aircraft never before tested in combat, including the Sukhoi Su-34 strike fighter, which NATO calls the Fullback, and a ship-basedcruise missile fired more than 900 miles from the Caspian Sea, which, according to some analysts, surpasses the American equivalent in technological capability. Three years before that, also in Bijie, five street children died of carbon-monoxide poisoning after they had clambered into a roadside dumpster and lit charcoal to keep themselves warm. 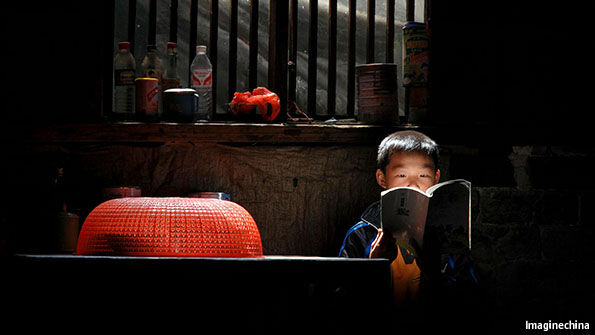 Chinese social media drew parallels with the little match girl in Hans Christian Andersen’s story of that name: afraid to return home because she has not sold any matches, she freezes to death in the winter night, burning match after match because the light reminds her of her grandmother. It is a well known tale in China because it is taught in primary schools as an example of the uncaring nature of early capitalism. China-Pak air drill in Tibet: Lessons for India? This week India and China has started 'Hand In Hand', a joint counter-terrorism exercise at Kunming Military Academy, Yunnan. From India, 350 Naga Regiment personnel joined the People's Liberation Army's 14th Group Army. The 11-day exercise will focus on Humanitarian Assistance and Disaster Relief. Leaving troops in Afghanistan is the right thing to do. It is also a telling, sad legacy for the U.S. president. President Barack Obama was elected to extricate the United States from Iraq and Afghanistan. It is a sad irony of his presidency that among his foremost foreign-policy legacies will be leaving American involvement in both countries as among the first and most complex challenges his successor will face. The president’s decision to leave 5,500 troops in Afghanistan at least into the first year of the next president’s term of office was inevitable. The lessons of Iraq and the volatile situation on the ground in Afghanistan dictate it. It was also the right decision. To leave entirely would be to invite chaos, render America’s enormous investment a write-off, and likely leave the country a home to a new generation of violent extremists even more dangerous than the al Qaeda thugs that America entered Afghanistan to eradicate. In reaching this decision, Obama is helping to put to rest one of the most often-cited aspects of the Powell Doctrine, the framework for considering American overseas interventions named after the former secretary of state. The doctrine traces its roots to Powell’s former boss, Secretary of Defense Caspar Weinberger and to the deep desire to avoid future Vietnams that dominated the thinking of American military planners in the wake of that debacle. One of its central precepts is that when America contemplates overseas use of force that an “exit strategy” is developed to avoid the prospect of being bogged down as in the so-called quagmire of the Indochina War. APHUMANITARIAN CRISIS: "To India's claim that protesting ethnic groups inside Nepal were obstructing supplies, the Nepalis ask, how has the fuel supply resumed but internal protests continued?" Picture shows trucks stranded at Birganj, a town on the Nepal-India border, after hundreds of Madhesis protested against Nepal's new Constitution. It has been a difficult six months for the Nepali people. This week, they faced another humanitarian crisis because the flow of fuel and supplies from India stopped. Newspapers reported that hospitals and clinics ran out of supplies, restaurants and businesses closed, neighbours scrambled for firewood to cook and stay warm, and transportation shut down. They also questioned India’s claim that the protesting ethnic groups inside Nepal were obstructing supplies. How, they ask, has the fuel supply resumed but internal protests continued? Furthermore, a new government came to power in Nepal that seems less amenable to their dissenting views. So, was it all about India after all? Prime Minister Narendra Modi, who is believed to understand the concept of a shared South Asian “commons”, is seen as having missed a unique opportunity to unify the people of the region. The introduction of a new Constitution in Nepal presented a chance to alter the entrenched belief that the outcomes of India’s special relationship with Nepal will always be unfair. Instead, weeks of suffering from the ‘blockade’ have led the Nepalese to drown in suspicion: may be India didn’t like the new Constitution; it knew northern trade points were still damaged by the quake; it callously imposed a weeks-long blockade on their crippled country; the international community silently stayed on India’s good side; and once Nepal’s government agreed to change the Constitution, the blockade appeared to ease. Unfortunately for India, most Nepalis blame Prime Minister Modi, the public face of the Indian government in Nepal. How Would Lawrence of Arabia Defeat the Islamic State? Lessons from the early 20th century for the chaotic, modern Middle East. Obviously, in the aggregate, a great deal has changed since the early 20th century, something of which he is actually quite aware. But there is a central grain of truth in his comment, which is that we could profitably spend some time looking at the life and times of Thomas Edward Lawrence, otherwise known to posterity as “Lawrence of Arabia.” From his story emerges some potentially helpful insights that could inform our badly constructed policy, such as it is, toward the region generally and Syria in particular. Lawrence was born in Victorian England, and his parents moved to Oxford when he was a child. He intensely studied the Arab world there from 1907 to 1910, taking first-class honors in archaeology. He spent time excavating and traveling through the Near East in the run-up to World War I. In the months before the war’s outbreak, he surveyed the Negev Desert (strategically important, as an Ottoman army would have to cross it to attack British Egypt). As the war began, he was recognized as what we would think of today as a highly qualified foreign area officer, with deep expertise in the Levant and both the Ottoman and Arab worlds. As was depicted in the rather sensationalized film, he played an important role in helping lead the Arabs’ revolt against their Ottoman overlords. What can we learn from his experiences in what has today become an even worse theater of war than that which he faced? What would T.E. Lawrence tell us about how to approach the challenges we face today in the Levant and the Arab world? Russian computer attacks have become more brazen and more destructive as the country grows increasingly at odds with the U.S. and European nations over military goals first in Ukraine and now Syria. Along with reported computer breaches of a French TV network and the White House, a number of attacks now being attributed to Russian hackers and some not previously disclosed have riveted intelligence officials as relations with Russia have deteriorated. These targets include the Polish stock market, the U.S. House of Representatives, a German steel plant that suffered severe damage and The New York Times. U.S. officials worry that any attempt by the Russian government to use vulnerabilities in critical infrastructure like global stock exchanges, power grids and airports as pressure points against the West could lead to a broader conflict, according to two people familiar with the debate inside government and who asked to not to be named when discussing intelligence matters. When NATO officials met last week, they voiced alarm about Russia’s rapid involvement in Syria, including the firing of cruise missiles, and vowed the biggest reinforcement of their collective defense since the end of the Cold War. The Warsaw Stock Exchange is but one example of the heightened cyber-activity. Hackers who rifled the exchange last October, in a breach that set off alarms among Western intelligence agencies, proclaimed they were Muslim militants angry over Poland’s support for a bombing campaign against the Islamic State. "It’s beginning," the group posted online in a file-sharing site called Pastebin, heavily used by the cyberunderground. "To be continued! Allahu Akbar!" While stealing some data, the attackers also made dozens of client logins public, opening the exchange’s systems to additional chaos from cybercriminals of all stripes. It was sabotage by crowd-sourcing. Media Coverage: Associated Press, The Hill, Motherboard, The Daily Caller, Hespress, Washington Post, Quartz. This post describes the results of Internet scanning we recently conducted to identify the users of FinFisher, a sophisticated and user-friendly spyware suite sold exclusively to governments. We devise a method for querying FinFisher’s “anonymizing proxies” to unmask the true location of the spyware’s master servers. Since the master servers are installed on the premises of FinFisher customers, tracing the servers allows us to identify which governments are likely using FinFisher. In some cases, we can trace the servers to specific entities inside a government by correlating our scan results with publicly available sources. Our results indicate 32 countries where at least one government entity is likely using the spyware suite, and we are further able to identify 10 entities by name. Despite the 2014 FinFisher breach, and subsequent disclosure of sensitive customer data, our scanning has detected more servers in more countries than ever before. FinFisher is a sophisticated computer spyware suite, written by Munich-based FinFisher GmbH, and sold exclusively to governments for intelligence and law enforcement purposes. Although marketed as a tool for fighting crime,1 the spyware has been involved in a number of high-profile surveillance abuses. Between 2010 and 2012, Bahrain’s government used FinFisher to monitor some of the country’s top law firms, journalists, activists, and opposition political leaders.2 Ethiopian dissidents in exile in the United Kingdom3 and the United States4 have also been infected with FinFisher spyware. In 2012 and 2013, Citizen Lab researchers and collaborators,5 published several reports analyzing FinFisher spyware, and conducted scanning that identified FinFisher command and control (C&C) servers in a number of countries. In our previous research, we were not yet able to differentiate between FinFisher anonymizing proxies and master servers, a distinction that we make in this work. When a government entity purchases FinFisher spyware, they receive a FinSpy Master—a C&C server that is installed on the entity’s premises.6 The entity may then set up anonymizing proxies (also referred to as “proxies” or “FinSpy Relays” in the FinFisher documentation), to obscure the location of their master. Infected computers communicate with the anonymizing proxy, which is “usually”7 set up on a Virtual Private Server (VPS) provider in a third country. The proxy then forwards communications between a victim’s computer and the Master server. We first describe how we scanned the Internet for FinFisher servers and distinguished masters from proxies (Part 1: Fishing for FinFisher). We then outline our findings regarding 32 governments and 10 specific government entities that we believe are using FinFisher (Part 2: Country Findings). Finally, we highlight several cases that illuminate connections between different threat actors (Part 3: A Deeper Analysis of Several Cases), before concluding (Conclusion). The immortal words of Chinese military philosopher Sun Tzu were written in an age of sword and steel, but they hold true for modern cyber warfare. As security professionals combat various threats, they must look not only at the tactical abilities of malwaredeployed against them, but also at the strategy of the cyber opponent operating the malware. While tactics such as the malware’s ability to steal sensitive information and avoid detection are fairly easy to observe through technical analysis, understanding an opponent’s strategy requires deeper intelligence and analysis. The fraudsters behind the Dyre malware offer a great example of a cyber opponent combining superior tactics with superb strategy. While much has been written about the technical abilities of the Dyre Trojan in order to truly assess the nature of the threat, banks must also understand the Dyre fraudsters’ strategy of going after high-value targets and constantly penetrating new geographies, all while remaining stealthy. China military planners expect to use a combination of kinetic, electronic and cyber attacks against satellites or ground support structures in a conflict. Two direct-ascent missiles capable of hitting satellites in both lower and higher orbits are under development, the SC-19 and the DN-2. Anti-satellite missile tests were carried out as recently as last year. With the U.S. government still dealing with the fallout from the cyber theft of over twenty million personnel records in 2014—one of the largest data breaches in history—a new book from Council on Foreign Relations (CFR) Senior Fellow Micah Zenko reveals how red teams might have helped avoid such a disaster. Red teaming is a practice that employs professional skeptics and saboteurs to help organizations identify vulnerabilities, challenge assumptions, and anticipate threats. Red Team: How to Succeed by Thinking Like the Enemy is the first book to examine the work of these modern-day devil’s advocates across a broad range of fields, including the military, intelligence, and business sectors. Zenko was one of the first civilians to attend the U.S. Army’s University of Foreign Military and Cultural Studies, otherwise known as “Red Team University.” Drawing on seventeen little-known case studies and over two hundred interviews with professional red teamers, he delves into the history of red teams and lays out their six best practices. He explains how organizations have benefited from or abused red teaming, and what happened when others altogether ignored their red teams’ findings. Zenko argues that policymakers, business leaders, military officers, and intelligence analysts can all gain from employing red teams. “An astonishing number of senior leaders are systemically incapable of identifying their organization’s most glaring and dangerous shortcomings,” he observes. The Net Assessment Working Group, comprised of Army science and technology (S&T) experts, formed to compare planned S&T acquisitions and investments with emerging technologies. The purpose was to assist the Army in defining potential areas where future forces may be presented with “overmatch” technologies from adversaries that may impact future forces. In March 2015, Net Assessment Working Group participants identified the following: 1) Army mobility and protection assets are at risk from the proliferation and advances of anti-tank guided missiles (ATGM); 2) Army aviation assets are facing an increasing threat from area denial (AD) strategies as well as a growing range of weapons; 3) Individual Soldiers are at risk from a general reliance on position, navigation, and timing (PNT) technologies and cognitive overload; 4) U.S. precision ammunition is at risk from jamming technologies that threaten the delivery of precision fires; 5) Army intelligence and electronic warfare (EW) systems are at risk from cover, camouflage, concealment, denial, and deception (C3D2) technologies and an inability to identify some advanced adversary EW systems: and 6) Combat Service Support is susceptible to the large resource requirements required to deploy and sustain Army forces where resources may be limited. The Department of Defense needs to take several steps in order to avoid “strategic surprise” by an adversary over the coming decade, according to a new study from the Defense Science Board, a Pentagon advisory body. Among those steps, “Counterintelligence must be enhanced with urgency.” See DSB Summer Study Report on Strategic Surprise, July 2015. “Continuous monitoring” involves constant surveillance of an employee’s activities (especially online activities), and it goes beyond the “continuous evaluation” of potentially derogatory information that is an emerging part of the current insider threat program. “Insider actions often generate suspicious indicators in multiple and organizationally separate domains–physical, personnel, and cyber security. The use of big data and creative analytics can be carefully tuned to the style and workflow of the particular organization and can help to audit for integrity as well as individual user legitimacy,” the DSB report said. The DSB report broadly addressed opportunities and vulnerabilities in eight domains: countering nuclear proliferation; ballistic and cruise missile defense; space security; undersea warfare; cyber (“The Department should treat cyber as a military capability of the highest priority”); communications and positioning, navigation, and timing (PNT); counterintelligence; and logistics resilience. To an outside reader, the DSB report seems one-dimensional and oddly disconnected from current realities. It does not consider whether the pursuit of any of its recommended courses of actions could have unintended consequences. It does not inquire whether there are high-level national policies that would make strategic surprise more or less likely. And it does not acknowledge the recurring failure of the budget process to produce a defense budget that is responsive to national requirements in a timely fashion. 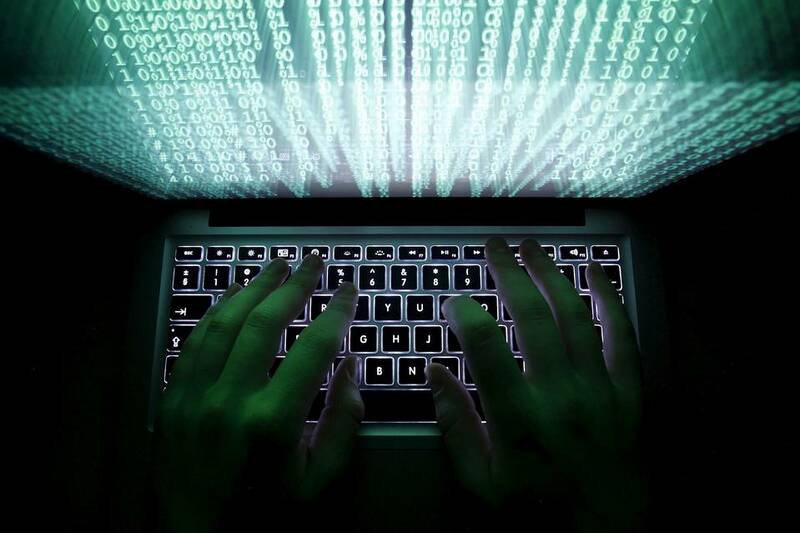 LONDON (AP) — Researchers have identified a new group of smaller, poorer nations as users of spy software, suggesting that a recent series of leaks and lawsuits hasn’t deterred governments from investing in off-the-shelf cyberespionage products. Internet watchdog group Citizen Lab said in a report published Thursday that it had found 33 “likely government users” of FinFisher, one of the world’s best-known purveyors of spyware. A cyberattack against FinFisher last year exposed reams of client information and other confidential data, but the report’s lead author Bill Marczak says the company appears to have weathered the breach. Like many malicious programs, FinFisher’s products works by infecting its targets’ computers and phones, copying messages, recording conversations and even activating webcams. Unlike most malicious programs, those behind FinFisher have business cards and badges. WASHINGTON—An international effort to prevent cyberweapons from reaching malicious regimes is at risk of coming apart amid objections from U.S. companies that claim it would upend the way they use and sell legitimate spyware. Telecom network operator Reliance Jio Infocomm today said it will start the commercial operations of 4G services during the next financial year. The expectation of the industry was that the Mukesh Ambani-promoted Reliance Jio will launch 4G LTE network this year when the RIL chairman earlier hinted that the $20 billion investment project will be ready for roll outs by the end of the current year. Reliance Jio Infocomm will be facing the 4G network of Bharti Airtel, which took three years to reach 300 plus towns, Vodafone India, which will launch LTE in Bangalore and Mumbai this year, and Idea Cellular, which has limited 4G plans in 2016. Reliance Jio today said it has substantially completed its network roll-out across the country. The company is currently testing and optimizing the network. Reliance Jio has rolled out and tested most of the business platforms in a limited use environment. The telecom network operator has employed a large number of testers across India to facilitate extensive testing of network and business platforms.